Back in 2008, Julia Icenogle was approached by two of the editors of Kansas City Star Quilts, who said that they had an idea for their blog, pickle dish.com. 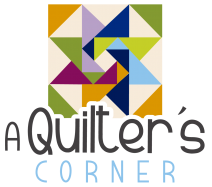 Specifically, they were looking for someone to create a funny cartoon about quilting to post weekly on their blog. Julia was flattered for the offer, but told the editors that she really had no background in quilting, and wasn't qualified to come up with jokes about it! They handed her a stack of quilting magazines for research anyway, and asked her to see what she could come up with in a week. Julia went home and started researching everything she could about quilting. That same night, on a bar napkin (she was diligently playing the role of designated driver for her cousin’s 21st birthday), she sketched out the first likeness of Mrs. Bobbins, which the editors loved.